This sepia colored photograph shows cattle being rounded up on the O.J. 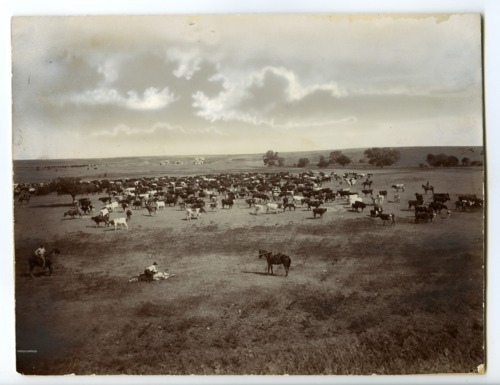 Greenleaf ranch in Kiowa County, Kansas. In the foreground, two cowboys have separated a cow from the herd.